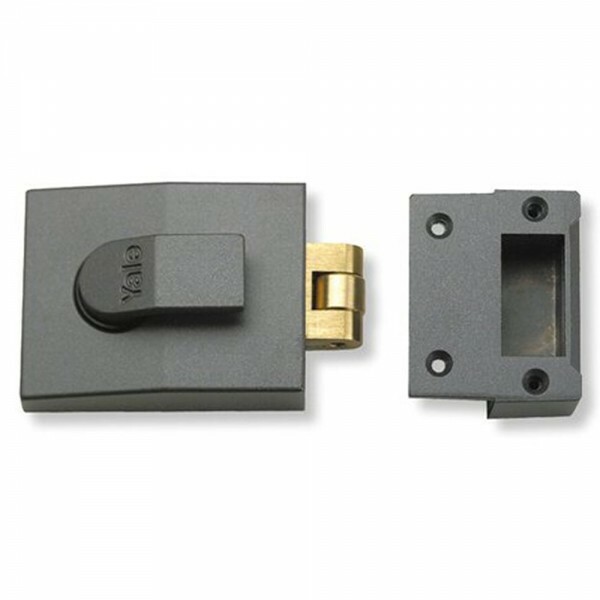 Yale 81 roller-bolt nightlatch is a standard security nightlatch with push/pull action. It is ideal for flat and communal entrance doors which allow for key operation from the outside. This also prevent from accidental lockout as one can use a key from the exterior or turn handle from the inside. The Yale 81 roller-bolt nightlatch comes with a 2 year guarantee.